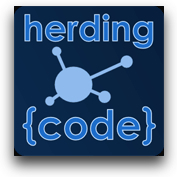 In the excellent episode 102 of the Herding Code podcast, Tim Caswell relates event-driven programming to standing in the line at a doctor’s office to see the receptionist. Inevitably, at least here in the USA, there are additional forms to fill out with insurance info, privacy releases, etc. In a traditional thread-based system, when you get to the receptionist you stand at the counter for as long as it takes you to complete your transaction. If you have to fill out 3 forms, you would do so right there at the counter while the receptionist just sits there waiting for you. You are blocking her or him from servicing any other customers. The only real way to scale a thread-based system is to add more receptionists. This, however, has financial implications in that you have to pay more people and physical implications in that you have to make the room for the additional receptionist windows. In an event-based system, when you get to the window and find out you had to complete additional forms, the receptionist gives you the forms, a clipboard and a pen and tells you to come back when you have completed the forms. You go sit down in the waiting and the receptionist helps the next person in line. You are not blocking her from servicing others. When you are done with your forms, you get back in line and wait to speak with the receptionist again. If you have done something incorrectly or need to fill out another form, he or she will give you the new form or tell you the correction and you’ll repeat the process of going off, doing your work, and then waiting in line again. This system is already highly scalable (and is in fact used in most doctor’s offices I visit). If the waiting line starts getting too long, you can certainly add an additional receptionist, but you don’t need to do so at quite the rate of a thread-based system. It struck me that this is also very similar to ordering your food at a fast-food restaurant or street vendor. The thread-based way would be to get to the front of the line, give your order to the cashier and then wait right there until your order was cooked and given to you. The cashier would not be able to help the next person until you got your food and went on your way. Need to service more customers… just add more cashiers! Of course, we know that fast food restaurants don’t work that way. They are very much event-driven in that they try to make those cashiers as efficient as possible. As soon as you place your order, it’s sent off for someone to fulfill while the cashier is still taking your payment. When you are done paying, you have to step aside because the cashier is already looking to service the next customer. In some restaurants, you might even be given a pager that will flash and vibrate when your order is ready for pickup (My local Panera Bread does this). The key point is that you are not blocking the receiving of new orders. When your food is set, the cashier – or someone – will signal you by calling out your name, order number or triggering your pager. The event of your order being ready causes the person to perform some function/action. (In programming lingo, this would be thought of as a “callback function“.) You will then go up and get your food. So What Does This Have To Do With Node.js? 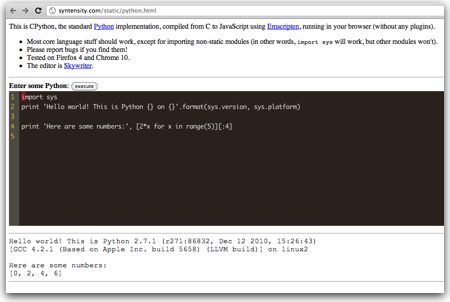 You use your web browser to make a request for “/about.html” on a Node.js web server. The Node server accepts your request and calls a function to retrieve that file from disk. While the Node server is waiting for the file to be retrieved, it services the next web request. When the file is retrieved, there is a callback function that is inserted in the Node servers queue. The Node server executes that function which in this case would render the “/about.html” page and send it back to your web browser. Now, sure, in this case, it may only take microseconds for the server to retrieve the file, but.. Particularly when you are talking about highly-scalable web servers! Do these analogies help? Do have another analogy you use to explain “event-driven programming” or “event-driven I/O”? While I’m talking about “web servers” here, Node.js lets you write all sorts of different types of servers for many other protocols beyond HTTP. They all have similar issues (blocking vs non-blocking I/O). 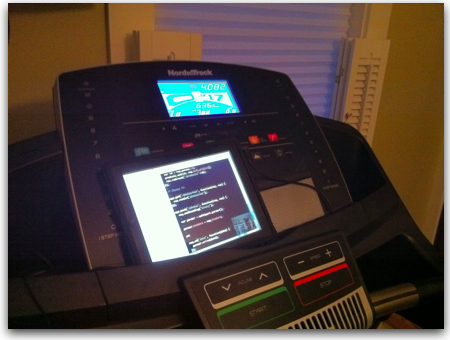 This entry was posted in Node.js and tagged Events, Node.js on January 25, 2011 by Dan York. This server has received 5726620 hits from both ipv4 and ipv6.